Although cellulite needs to be attended to on various levels, a good topical oil, with effective and active essential oils can go far in helping to achieve smoother body curves. All the essential oils used in our blend are pure and natural and the carrier base used in this ready-made oil also promotes a healthy skin and improved elasticity. The base oil, unlike all our other oils, is not a natural oil, but was chosen because it cannot cause an allergic reaction. 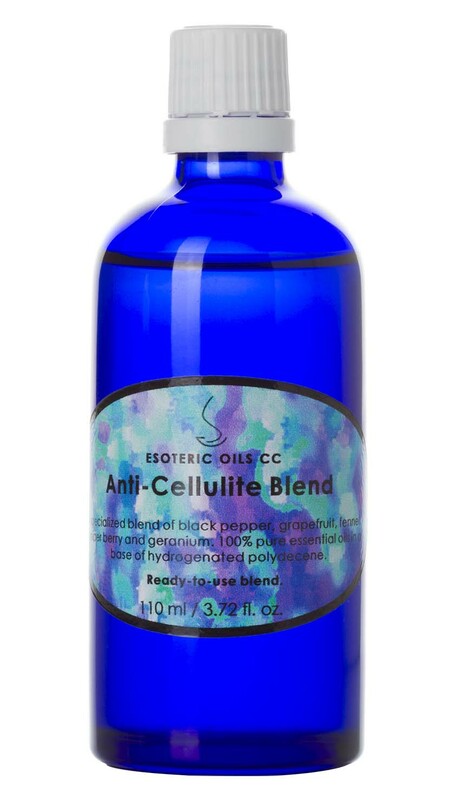 Rub a small amount of the anti-cellulite blend into the affected areas, twice a day. The oil will be quickly absorbed by the skin, but any excess can be taken off with a tissue, should it be required. The anti-cellulite blend is easily absorbed by the skin, and although massaging is not required, the massage action also helps to increase circulation, thereby assisting and facilitating the removal of cellulite. To have a look at some basic massage techniques, have a look at the selection of free MPEG video clips by clicking here.